We spent a few minutes scrolling through Pinterest today and came across this vegan beauty. Mine isn't exactly vegan, but it's healthy and it was SO yummy! pick up some chickpeas, coleslaw (or make your own), your favorite bbq sauce, and some buns. 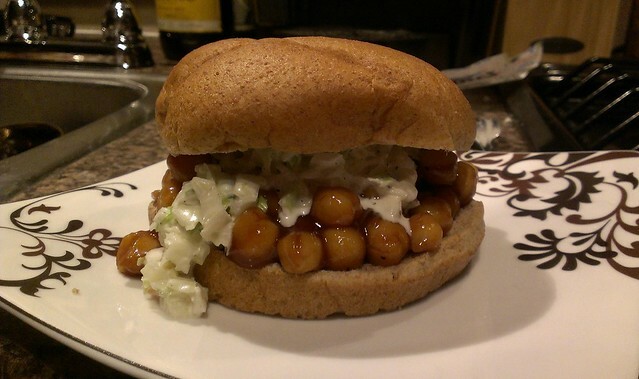 Cook your chickpeas, load them up with bbq sauce and fill your bun. Top that with coleslaw. Serve with dill pickles and a glass of pinot noir <--- you gotta glam it up. Yes Sir Ma'am BOSS, so delicious!